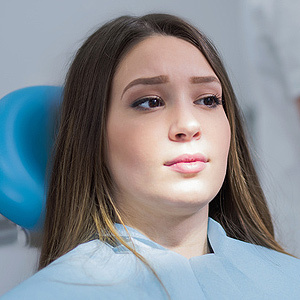 Dental anxiety is a common problem: it’s estimated that one in two Americans admits to some level of nervousness about seeing the dentist. On the extreme side of this statistic about 15% of the population even avoid or postpone dental care because of it. While comedy shows routinely make fun of people’s fear of the dentist, the consequences of not receiving needed dental care due to dental anxiety are no laughing matter. Fortunately, visiting the dentist doesn’t have to be a nerve-wracking, butterflies-in-the-stomach experience. Here are 3 ways to make sure your next visit is more pleasant. The right dentist. Dental care is more than technical—it’s also personal and relational. The most important element for reducing dental visit anxiety is a provider you’re comfortable with and that you trust. It’s especially important for high anxiety patients to find a dentist who also has compassion for how they feel and won’t judge them—instead, working with them to find just the right combination of techniques and possible medications that encourage relaxation. Oral sedation. For many people nervous about dental visits the answer could be prescribed sedation medication taken an hour or so before their appointment. Typically a mild sedative, the dose is just enough to help them relax. It’s also often coupled with other methods like nitrous oxide or local anesthesia for a pain-free and unstressed experience. IV sedation. For people with high levels of anxiety, it’s often beneficial to increase the level of sedation. One of the best ways to do this is with an intravenous flow of medication that will place a person in a deeper state of relaxation. Although this method requires careful vital sign monitoring during the procedure, it’s often the best way to calm patients with high anxiety so they can receive the dental care they need. Working with your dentist, you can develop just the right mix of these and other methods for making your dental visits easier. No matter what your level of anxiety, you don’t have to avoid the dentist nor needed dental care.